Through the incorporation of technology into the curriculum, Jackson State University (JSU) is transforming its learning environment to empower innovative teaching while fostering student creativity. The result is an enhanced digital teaching and learning ecosystem (image below)-one that converges resources of people through the retooling of faculty; resources of place through new learning environments in the classrooms, library and dormitories; and resources of programs through the redesign of core curricula and production of new, interactive digital content. 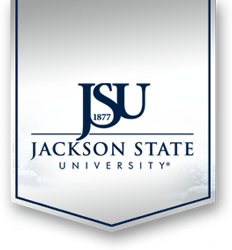 The fall semester of 2014, JSU will continue to expand this integration of the digital teaching and learning ecosystem. The University is designing living/learning cohorts oganized through the general education series of courses. New digital interactive textbooks, created by JSU faculty, will greatly reduce book costs for students. These high-quailty texts support a flexible learning environment, which focuses on new delivery and assessment models. The learning environment is enabled, through the use of technology, to deliver a more personalized learning experience that features the student creation of knowledge and facilitates improved student learning experiences. Student costs for digital textbooks will be ninety (90) percent less than current physical textbooks and students will be actively involved in the learning process. Within the next ten years, the time honored lecture will be nearly extinct as an effective and efficient teaching format. Retention rates will rise as the digital teaching and learning ecosystem will be inclusive of all courses in the institution. Not only will students use interactive digital textbooks created by JSU faculty, but they will also create their own digital textbooks. Learning will not be constricted to the classroom as students investigate the community and world through mobile technology. Responsive to the experiences and tools of this generation, the digital teaching and learning ecosystem will provide students with strong competencies in foundational skills, critical thinking and active inquiry. These students will then enter their majors ready to deploy a powerful set of competencies, which will facilitate ladders of opportunity as students acquire and employ the skills to thrive in the digital economy.